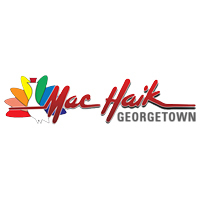 At Mac Haik Chrysler Dodge Jeep Ram Georgetown, we pride ourselves in the ability to help our customers find the perfect new or used car that fits their specific needs and budget. Mac Haik Chrysler Dodge Jeep Ram, an award winning Austin area new and used car dealership, has the largest inventory of new and used cars for sale in Texas with the most competitive pricing, a knowledgeable sales staff and various special offers and incentives on all vehicles in stock. Call us at (512) 309-7371 for more information or Click Here to contact us. Whether you’re looking to buy or lease a car, truck or SUV in Austin, Mac Haik Dodge Chrysler Dodge Jeep Ram Georgetown knows how to get the best deal on new cars and offers our valued customers various discounts, cash back offers, and special incentives on all new Dodge, Chrysler, Jeep and Ram vehicles in stock. Mac Haik Chrysler Dodge Jeep Ram Georgetown also has some of the best new car finance deals in Austin. Check out our New Car Finance Calculator to calculate financing rates or apply for financing for your new car, truck or SUV. Mac Haik Chrysler Dodge Jeep Ram is Austin’s used car superstore. With TONS of pre-owned cars and trucks in stock at our used car dealership, if you’re looking for a great deal on a used car or truck for in Austin, Round Rock, Cedar Park or surrounding areas, we can help you find the perfect used or certified pre-owned vehicle to suit your needs and expectations. Mac Haik CDJR has the largest selection of used cars for sales in Texas and the most competitive prices of and used car dealership in Austin. Call (512) 309-3731 or visit our used car dealership today! Mac Haik’s CDJR’s Austin, TX used car dealership has all types of used cars for sale. Looking for a great deal on cheap cars for sale? We have a large selection of quality Used Cars and Trucks Under $10,000. Mac Haik CDJR also has Pre-Owned Vehicle Specials year-round and offers great used car financing options as well. Search for Used Cars and Trucks Online or visit Mac Haik Chrysler Dodge Jeep Ram for a free test drive on all used autos for sale and find out why our customers call us the best used car dealership in Austin! Looking to Lease a new car? Leasing a brand new car or truck has become a popular alternative to buying in recent years, and Mac Haik CDJR has some of the best new car, truck and SUV lease deals in town. Lease a new Dodge, Chrysler, Jeep or Ram today!